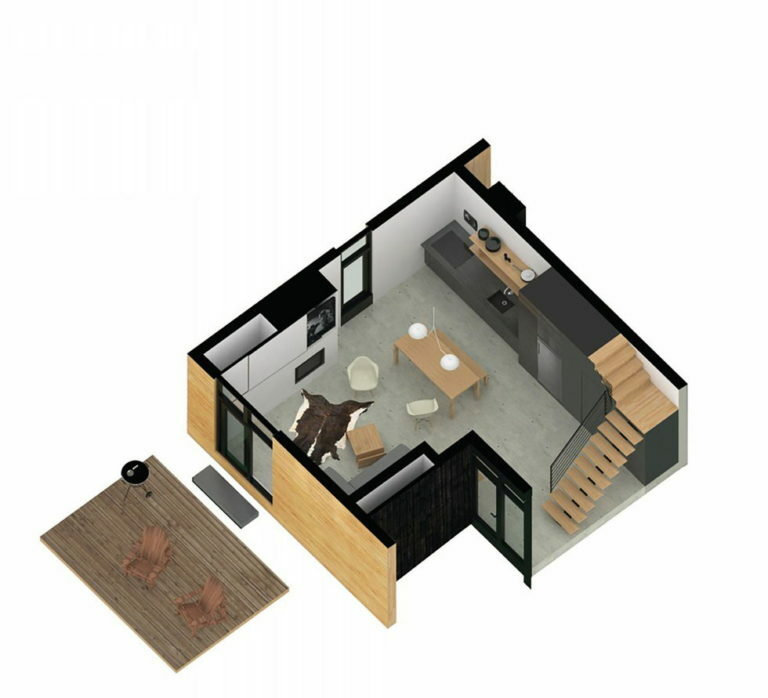 After a hard busy day, practically everyone wants to find solace in a comfortable home — and one option to have a comfortable home affordably is prefab or modular construction. At its base, a home is a space for each individual or family, and inexpensive prefabs are meant to provide some comfort and a sense of ownership to people buying their first house on a budget. Small cabin homes are really charming and many home buyers are considering acquiring one like this. 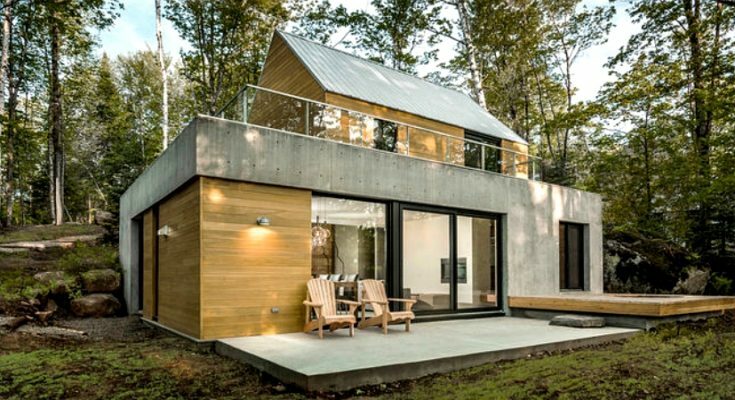 In Lac Supérieur, located outside Montreal, the Fraternité-sur-Lac recreational spot is home to a chain of contemporary, prefabricated houses beautifully designed by YH2. YH2 recreated an outdated model of a cabin and presented a series of stunning and elegant tiny cabin homes that are delightful design-wise. 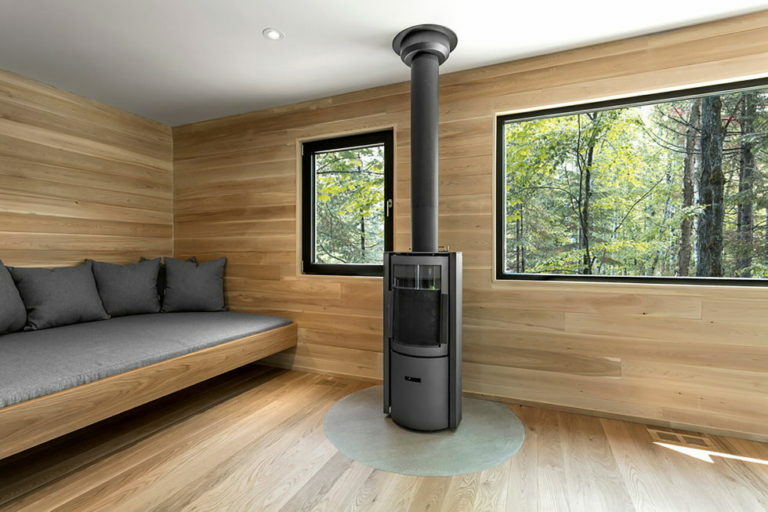 Another incredible house creation is their “Spahaus” cabin, located in Canada. It has an open-plan living space. It was designed as nice holiday dwelling. 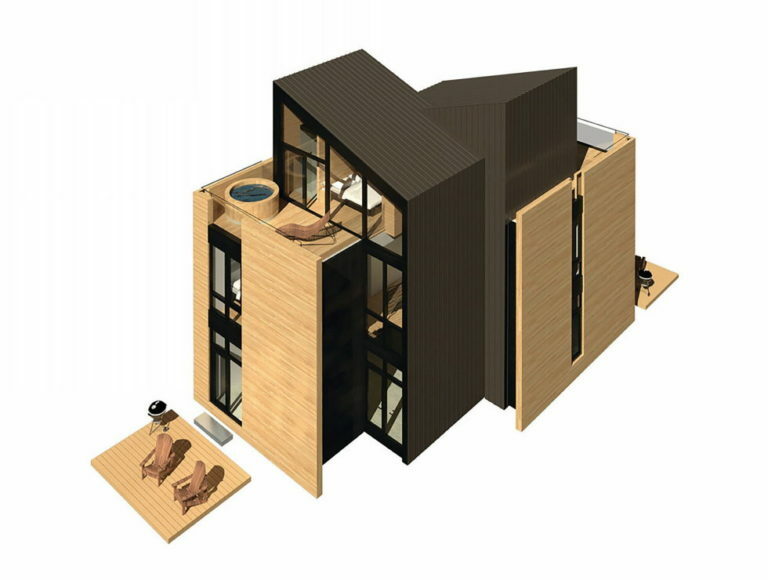 The 21 cabins built with this plan are fashioned to make the most of the area’s natural scenery. Thus, the cabins have large windows that allow house dwellers to enjoy a good view of the forest. 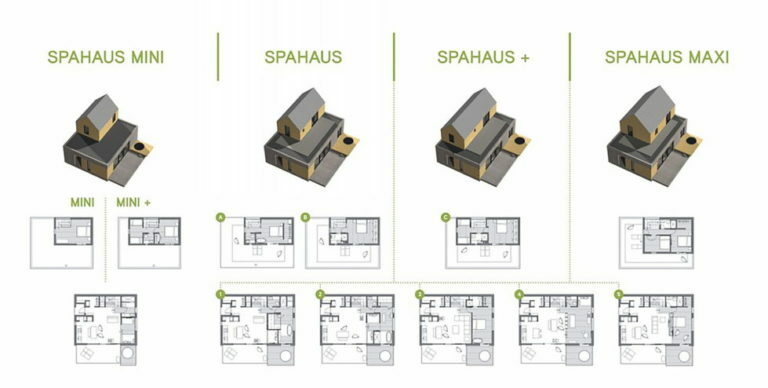 House buyers can choose one among five Spahaus models. House sizes range from 1070 square feet to 1420 square feet. The kitchen has gray laminate cupboards and stainless steel countertops. Home buyers may also go for the sauna optional feature if they love a warm bath. The houses’ interior and exterior follow a regular graphical theme and a cedar and concrete are arranged to create a strong visual effect. The frontage is made up of of bare concrete — which seems to be a divisive design choice, some people really like exposed concrete and others don’t — Galvalume guttering, and cedar wood sheathing. The prefab homes are carefully set up to make other parts of the constrution invisible. Home buyers are practically guaranteed to feel at home in this type of cabin home. 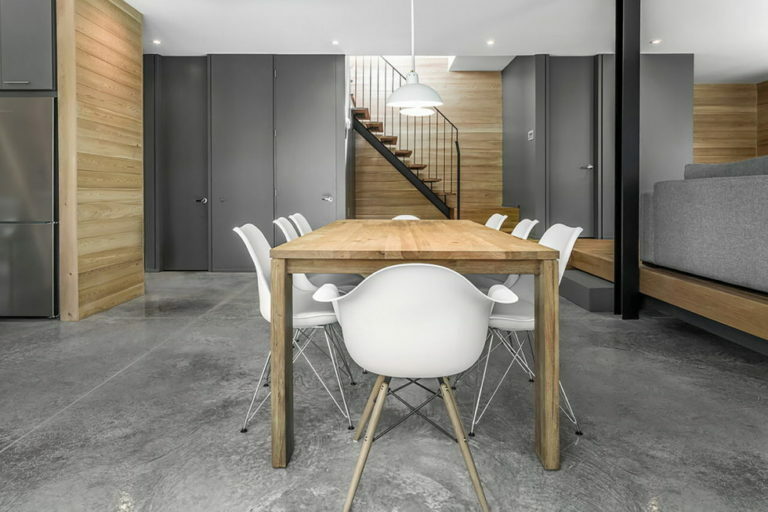 To see more of YH2 Architecture’s work, find them in the Building Homes and Living directory. Photos by Julien Perron-Gagné.